Thousands of people are still waiting for 04.11.08 iPhone 4 Unlock, and it looks like Apple really won the cat & mouse game this time. The new Gevey Sim is still being tested for stability, as told by Applenberry on their Facebook page. 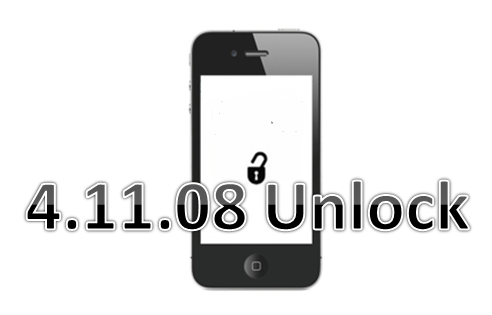 Other people claiming 04.11.08 unlock at this time are mostly fake (including goldsn0w and hamzah_akram). No word from @sherif_hashim or @MuscleNerd as well. For more such updates on iPhone 4 baseband 04.11.08 unlock, subscribe to technoNix via email, Follow @technoNix on Twitter or connect with us via our facebook fan page. How long will it take that they release the gevey sim? Espero que no tarde mucho porque estoy impaciente!!!! llevo esperando muchísimo tiempo una solución!!! Venga chicos! ustedes pueden , ánimo !